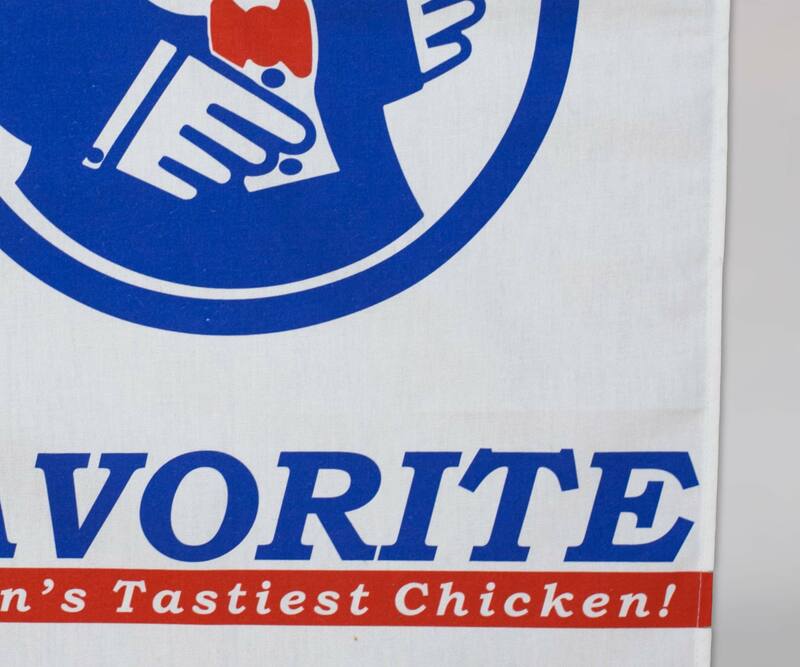 The image for Favorite Chicken and Ribs logo featuring ‘Chuckie’, was designed by an unknown artist in Southend in 1986. 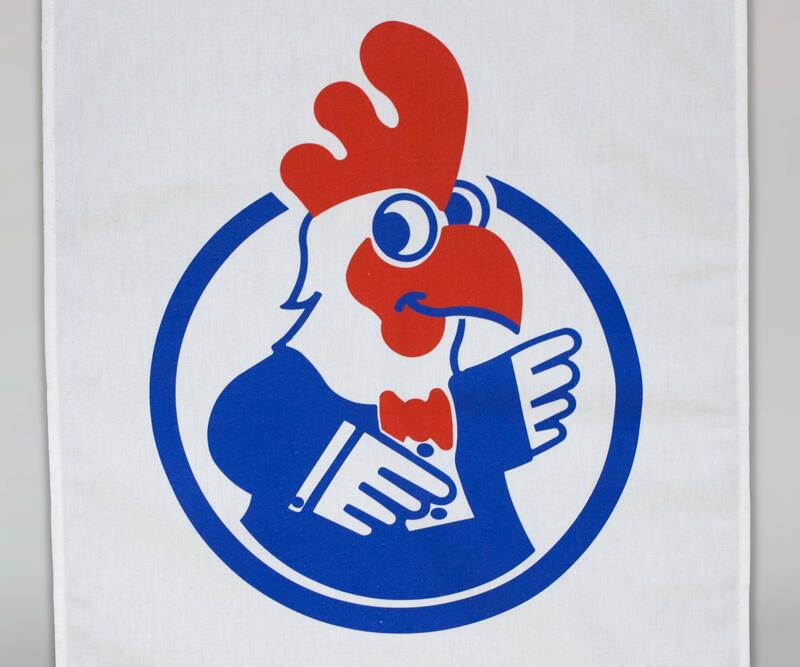 Sean’s interest in this image evolves from his interest in museums and museology: Britain’s first ever public museum, The Arc, was located in Lambeth, London, and its site is now the location of a Favorite Chicken and Ribs outlet. Working closely with the Favorite franchise, he built a collection of parts of its Lambeth shopfront, along with archival material from the company’s history, and this tea towel forms a part of this larger project. 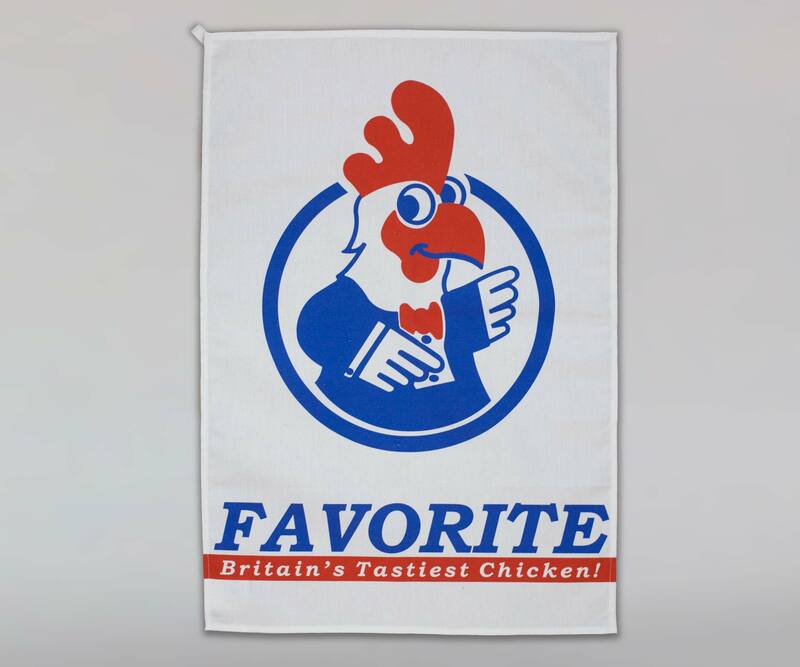 It was originally commissioned by the Artist Tea Towel Company.